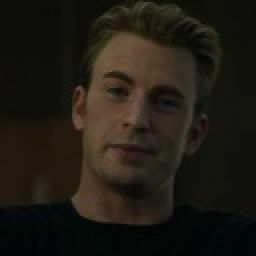 "Rogers, I love you like a brother, and the fact you are shacking up with my sister makes you a dog, but I don&apos;t appreciate the fact that you just barged into my lab." Tony says with a slight smirk. He looks up and sees my extremely hard face. "What&apos;s up Spangles?" My heart skips a beat. I remember the first time he called me that. We were on the Helicarrier, getting ready for Loki&apos;s reign. Tony must&apos;ve seen my face. "Seriously Steve, what are you doing out of bed? You just saved the world! You almost died! You saved the world then almost died. I&apos;d take at least 3 weeks off..."
"They took her, Tony." I say, slowly facing the brother of the woman I love. I am freaking out. I can barely keep myself together. I have known Rachel for what seems like a lifetime but it has only been two years. I miss her so much, and it has only been a few hours since I found out. Tony&apos;s face goes from smirky billionaire to a &apos;take one more step and I&apos;ll kill you&apos; look. "What did you just say?" He asks, deadly look sculpted onto his face. I take a deep breath. "They took her, Tony." I say, my voice breaking. "Hydra has Rachel." Tony&apos;s eyes harden even more, if that is even possible. He storms over to me. "What the HELL Steve! You promised me and her that you would protect her! Remember that? How did HYDRA take her? What is her significance?!" Tony yells in my face. A tear falls from my eye, down my face. "She... is either, one of the last remaining loyal S.H.I.E.L.D. agents, or she is too close to me." I say. "But how did they get her?" Everyday, they come in around the same time. The same woman comes in with two needles. One full with drugs that make me go weak and my head go foggy. The other one carries nothing but pain and misery. They give me the drug before the pain-inducing formula. You wanna know why? The drug numbs up my senses so that the pain and hallucinations have an easier time taking over my brain. The pain-inducing formula does it&apos;s job perfectly. It targets my nerves and their endings. And since the formula is inserted into my bloodstream directly, the pain spreads at an impeccable rate. The pain engulfs my body while the hallucinations engulf my mind. The hallucinations feed off of my worst fears. So, say you are afraid of spiders, the medications make you feel like spiders are eating away at your mind. It makes you feel as if spiders are crawling out of your body any way it can get out. The medicine is feeding off of my fears, which are a lot worse than that. I watch Steve die, everyday at the same time. And then again later. And again later. Then the next day, all over again. 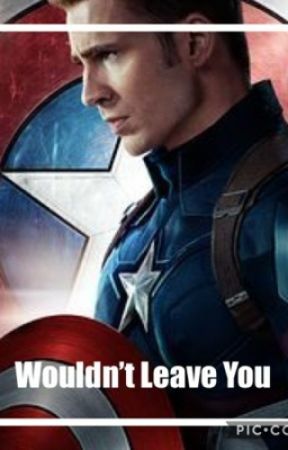 I watch him fall off of the helicarrier over and over and over again. I hear his last words to me over, and over again. I watch the medics take him away. I wasn&apos;t even there to watch him die, so my mind automatically assumes the worst. I see him, struggling to breathe. He is choking on his own blood, light fading from his eyes. And I watch him die everyday. Everyday, I watch our newest subject struggle. Blue bursts of energy surround her, cutting the electricity out and she sometimes gets into my head. That part is weird. Her hair is stuck to her face with sweat, her limbs are spasming. How am I supposed to run a team of people when I can&apos;t keep myself together? All of the Avengers are at Stark Towers, on a man hunt for Rachel, even Thor. It has been three weeks since Rachel has been gone. Tony still hasn&apos;t looked at me the same. Whenever we are in the same room, he just gives me a death glare. I want to fix this. She is gone because of me, and who knows what they might&apos;ve done to her. I don&apos;t know how much longer I can hold on. Steve. If you can hear me, take me. Take me anywhere but here.